Raising a Confident and Happy Daughter in a world that tells our little girls what they are and are not constantly can be parents greatest struggle. I think it’s normal for parents to worry about their daughters just a little bit differently than they do the boys. You see the body shaming, bullying and inequalities that women are still dealing with today and you want to prepare your daughter to be independent, strong and confident in the grownup world. It can be a fine line between teaching your daughter how to have self-esteem without being arrogant, to be independent yet giving and how to go after their dreams while being an encourager to others. 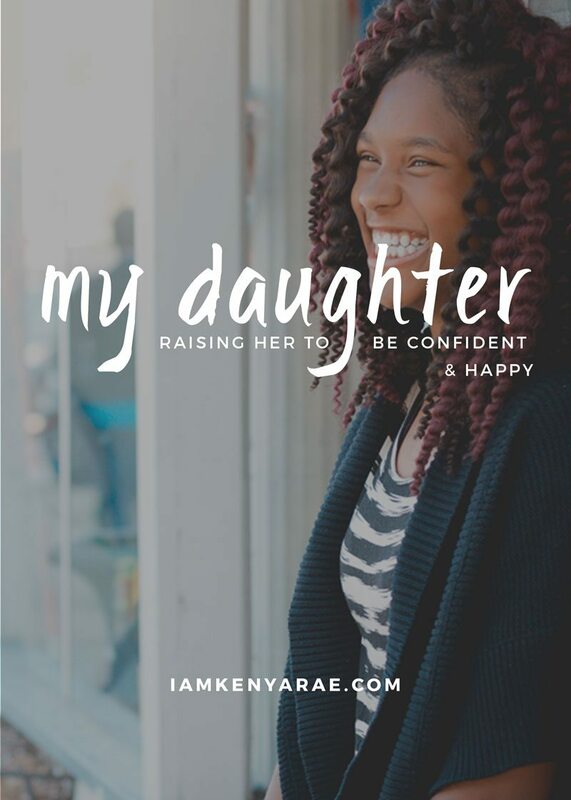 As a mother of a teen girl, I know the struggle all to well, so I have come up with tips (not end all be all's) to raise your daughter to be confident and happy. Girls are exposed to so many misconceptions about health, beauty and body image by magazines, celebrities and television it’s overkill. They are often told how beautiful they are starting very young, especially when playing dress-up or on special occasions. This often leads to more of a focus on physical appearance rather than skills and abilities. Compliment your daughter on how creative she is, tell her she’s smart, and laugh with her about how goofy you both are. Teach her what beauty is by recognizing beauty in others, in nature and through creative expression. Tell her she’s beautiful but remind her that she’s so much more. Independent women are blessed with the ability to handle whatever life throws their way. They are driven in their careers and value hard work. You can be confident in your daughter’s ability to provide for herself when you teach her how to be independent. Start by teaching her some of the “guy” stuff. I promise it’s okay if she knows how to change a tire, mow the grass or repair the washing machine. Teach her to problem solve, let her spend time in nature and expose her to the world through books and magazines. Do these things and she won’t hesitate to try new things, will be equipped to handle living on her own and won’t be afraid to compete in whatever field she chooses. When she gets married she will be a support system for her husband in the most amazing way. Let her be herself without limitations whenever possible. Give her plenty of space to express herself. Let her try new activities until she finds one that SHE chooses. Listen to her; let her talk and talk and talk. Encourage her to try new things and be creative. Take her camping and sleep under the stars. Teach her what freedom means and share the challenges that women face in other countries. Show her how to have compassion for others, to be a giver and to practice gratitude. Teach her to be kind especially to those that are different than she is. Encourage her to spend time volunteering, to always take up for the little guy and teach her what it takes to be a good friend to others. Watch movies together that portray the type of woman you’d like her to be. Teach her communication skills through writing and reading and how to cope with frustrations and stress. Most importantly, be kind to her and those that she loves and she’ll always remember what that looks like. The best way to help your daughter grow up to be happy and confident woman is to live your life that way. Kids mimic what we do, not what we say. If she sees a happy confident woman she will strive to be like that as she ages. Practice self-love, self-respect with a grateful and can-do attitude. Lead by example in the best kind of way. There are no guarantees in life; things happen that can alter our way of being, our way of thinking. Knowing that, take advantage of the opportunities when your daughter is young to leave a lasting impression. The best thing you can do for your daughter is to love her with open arms, accept her for who she is and of course give a whole lot of hugs! Time goes by fast, and opportunities can be missed. 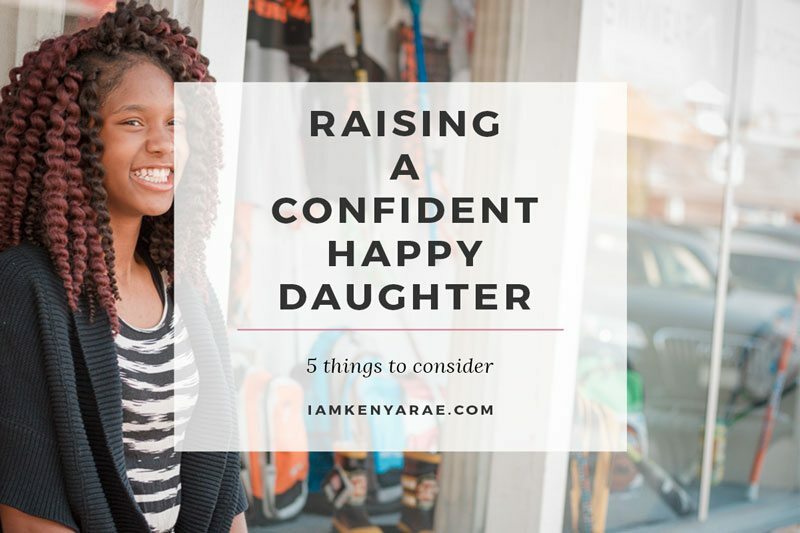 How are you raising a confident and happy daughter? Goodness, we so need to do this for our daughters. I love your thoughts! Thanks for sharing! I couldn’t agree more! We should be the woman we want our daughters to be! It’s safe to say I have instilled the love of Target and Pinterest lol now to the rest of the things that matter lol j/k. This was great! Lolololololo!!! That was hilarious. You are on the right path mama! Love, love, love this!! s a mom of 3 daughters I am constantly trying to find a way to balance all these. I will have to start using the term ‘body positive’. Leading by example is one of the most important things we can do for our daughters. I love this list!! We need to be the example to our daughters. If they see us living life and our bodies then they will have an easier loving theirs as well. Beautiful Advice! I’ve raised 3 daughters and each of these points are important. I was never perfect, but I kept trying to be the type of mom that would build their confidence and faith. Thank you for sharing these wonderful ideas! Thank you Lori! and really that is all we can do. This was such a great post. I still struggle with body positivity, but I try not to let it show in front of my daughter. To some degree I think we all do. I just try to have honest conversations with my daughter about taking care of her body and the blessing that she has in her health and to not be so focused on appearance. But then that we all have things we wish we could change but to not let it affect our gratitude. Lots of great thoughts! Imparting confidence on your daughter is so important. Yes, yes, yes! I love all of these. I am trying to do this everyday with my daughter. Even though she’s only 5, I don’t think you’re ever too young to start learning these thing. I totally agree! they are sponges and they absorb our stuff from the beginning. While I currently don’t have any children, I do have a 16 year old & 10 year old nieces and these aw defiantly things I want to teach them to follow. It takes a village, you are an amazing auntie for thinking about it!